I love french fries, truly love them. The crispy outside, the soft, almost creamy inside, salty, and ohh so satisfying. I think most french fries are good, and the good ones are awesome. These are awesome. I finally figured out how to make oven fries crispy every time. This is not so much a recipe as a guideline. Use with caution as they are very addictive, and easy, and delicious. I don’t tell you how many potatoes to use as it depends on how many fries you want. I usually just cut potatoes until I feel there are enough fries. If you want to limit the amount of olive oil, but still over your fries, put the fries in a Ziploc bag, pour a few tablespoons of olive oil in the bag and mush everything around until the fries are evenly coated. The important part is to use enough pans so that the fries are in one layer. If they are stacked on each other they will steam instead of roast and will be soggy. 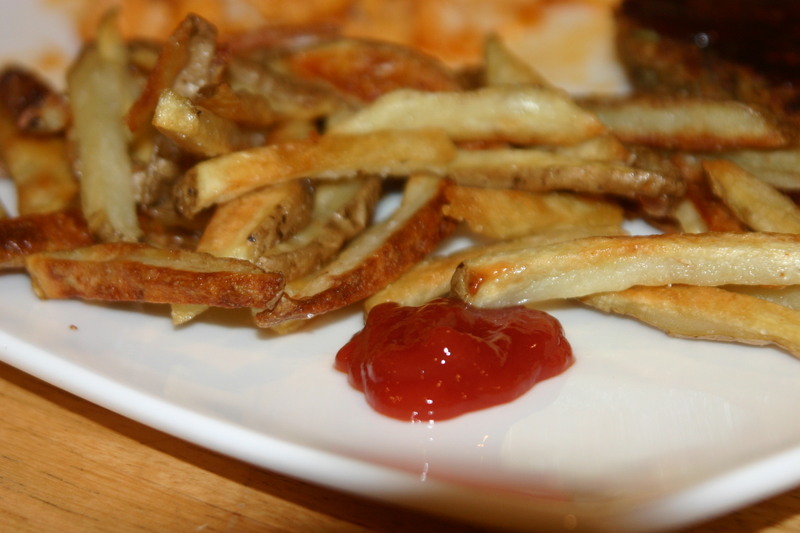 No one ones wants soggy fries, no one. 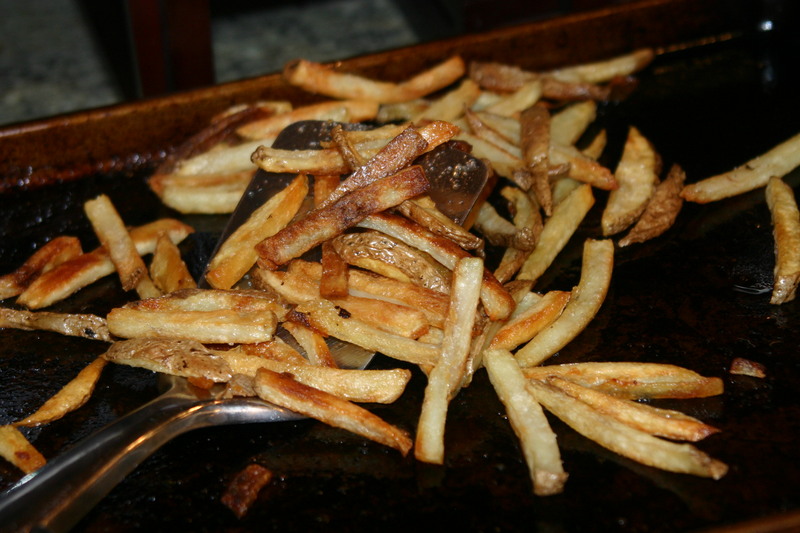 Spread cut fries onto a baking sheet in a single layer and pour enough olive oil over them to make them glisten, mixing to completely coat all fries. Bake, stirring every 15 minutes or so until crispy and delicious, about 30-45 minutes. Salt to taste and serve hot.